Skylark Blog: Is your Lawyer on Speed Dial? Is your Lawyer on Speed Dial? If someone claiming to be an innocent citizen had their criminal attorney on speed dial you might wonder about their true proclivities. 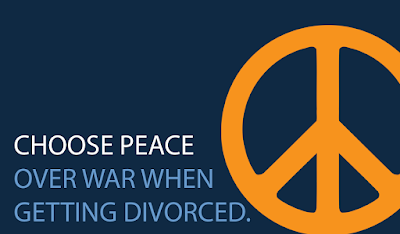 Well the same is true if you have your divorce attorney on speed dial, but claim you don't want a high conflict divorce. In the majority of divorce cases there is a lot of waiting time: waiting for documents, waiting for deadlines, and waiting for the next court date. Unfortunately, this is just the nature of how a court process works, and unless you can reach a full agreement with your soon-to-be ex-spouse then you will spend time waiting. During that waiting time, you can either be patient or you can call your attorney every day creating issues and problems that really didn't need your attorney's attention. It's important to remember that every time you call your attorney there is a cost, and what you're calling about may not be worth that cost. It's also important to remember that you hired your attorney to deal with your legal problems. If you are calling about an emotional problem, for example, your attorney is not trained to deal with that issue. You should call a therapist or other trained mental health professional to help you with emotional problems. If you feel the need to call your divorce attorney every day, then I encourage you to think about what you are accomplishing with these phone calls. Are you really using your attorney's services efficiently? If you're not sure, then consider waiting and calling your attorney when you have multiple issues to discuss instead of just what's on your mind at that moment. Does a Divorce affect my Homestead protection?